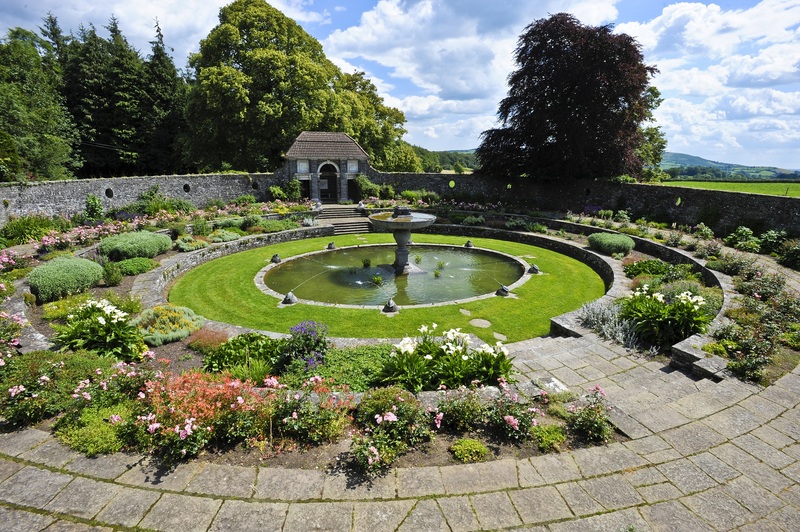 Heywood Gardens is the site of two garden types: the great park created by Frederick Trench in the late 1700s and the small interlocked formal gardens created by Sir Edwin Lutyens and Gertrude Jekyll in the early 1900s. After Trench built Heywood House in 1773, he landscaped the area between his house and the village of Ballinakill. Inspired by his Grand Tour of Europe, Trench moved hills, dug lakes, planted trees and placed follies. His results were considered to be the most exquisite romantic landscape of their time. 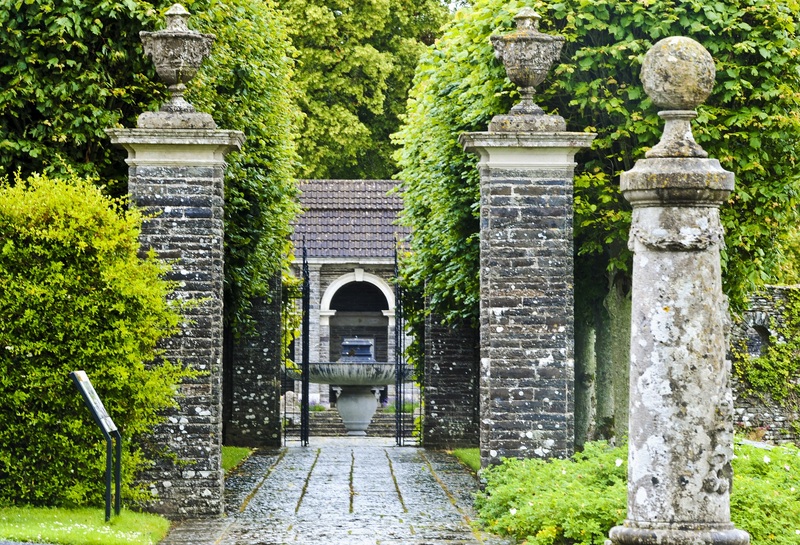 The formal gardens contrast with breath-taking views of the landscape. A walk lined with pollarded lime trees leads to a formal terrace overlooking the surrounding countryside. Another terrace overlooks one of the lakes dug by Trench in the 1700s, where it is possible to spot moorhens, kingfishers and other waterbirds. In the sunken garden, circular terraces descend to an elliptical pool, where small statues of turtles gaze inquisitively at the grand fountain. On the top level a loggia, roofed with red tiles, includes an inscription taken from the writings of Alexander Pope. In the wall that surrounds the garden, each circular window frames a spectacular view of the landscape so carefully constructed by Frederick Trench. Heywood Gardens are owned and managed by the Office of Public Works. Check the Heritage Ireland website for details of opening hours and events.